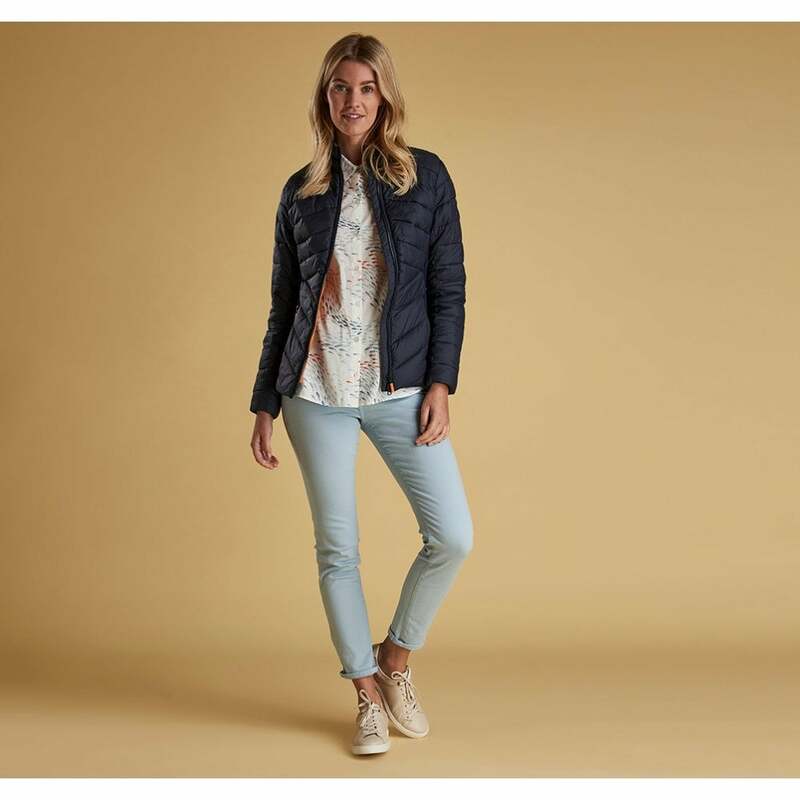 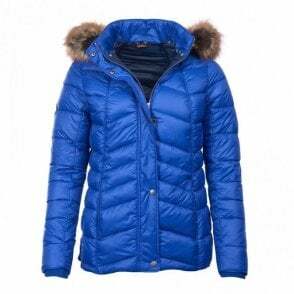 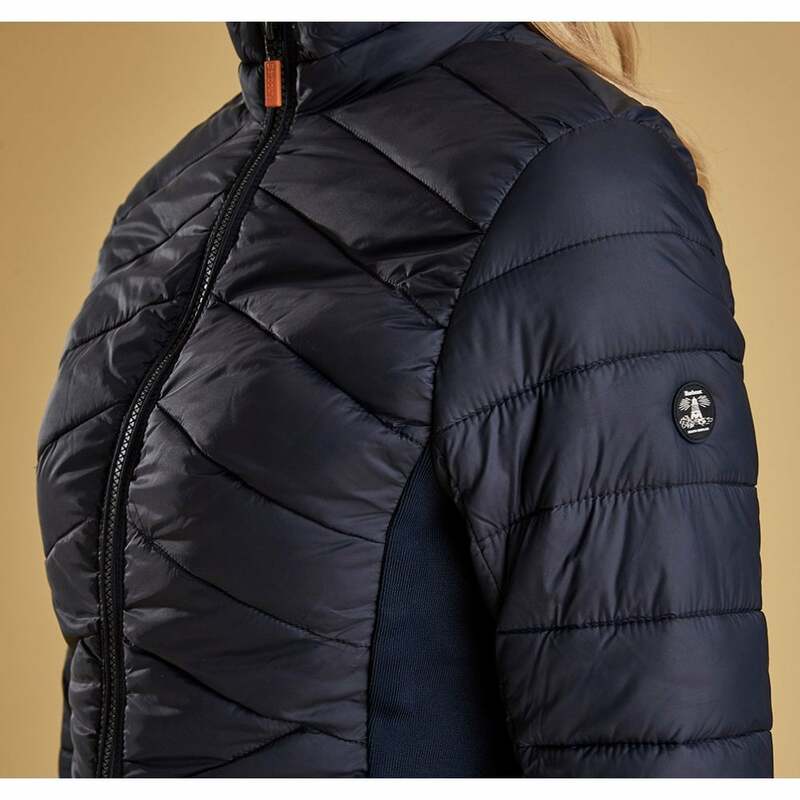 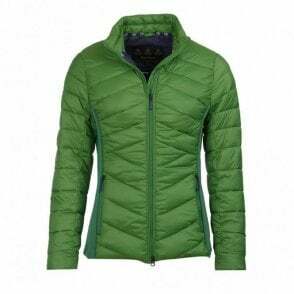 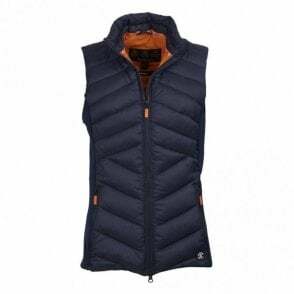 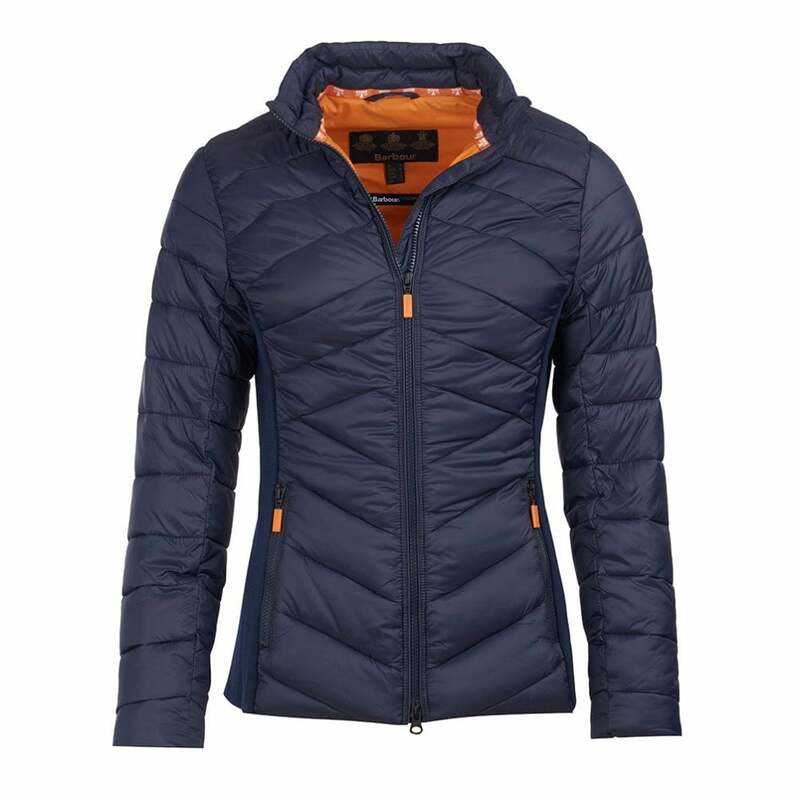 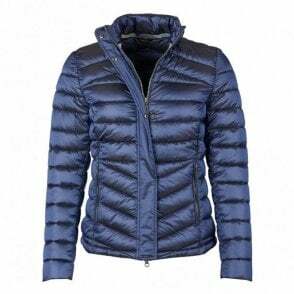 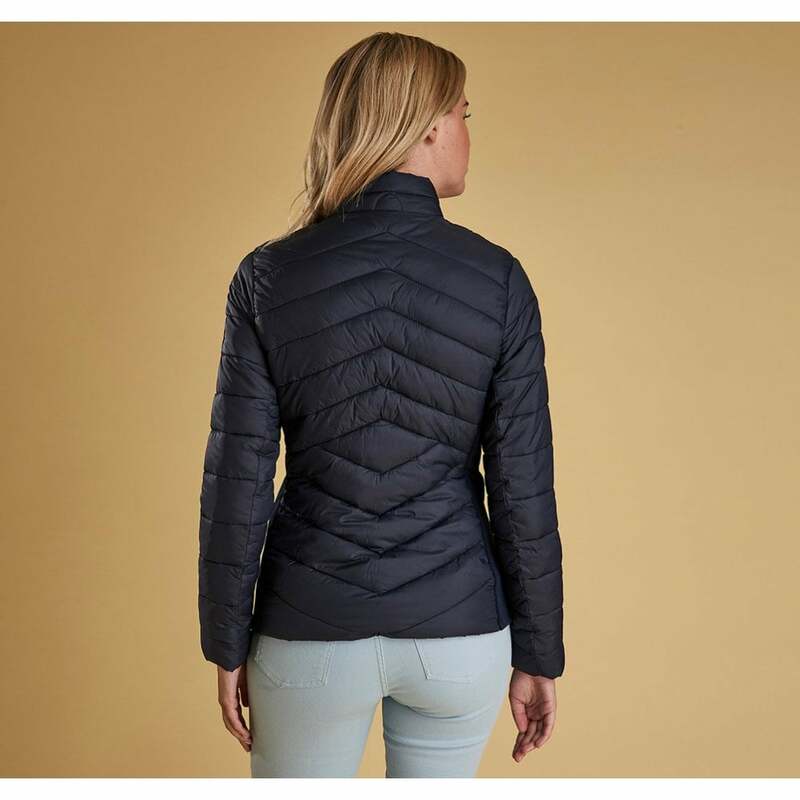 The Barbour Longshore Quilted Jacket has a lightweight design and features flattering chevron baffles with a diamond detail at the waist for extra definition. 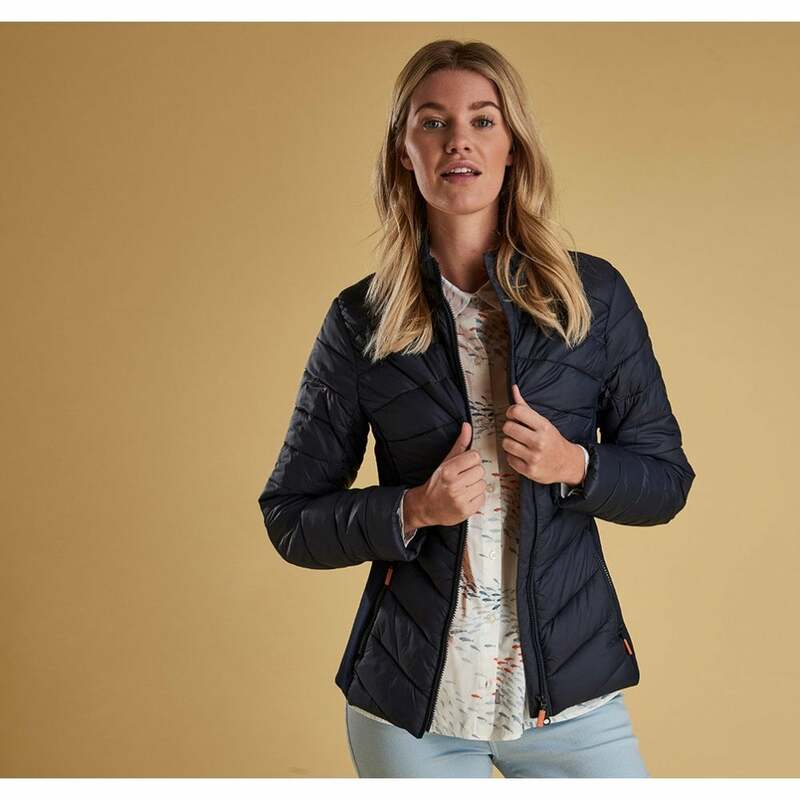 Styled with a cosy funnel collar, it's cut to a classic fit with stretch-fabric side panels for enhanced wearing comfort. 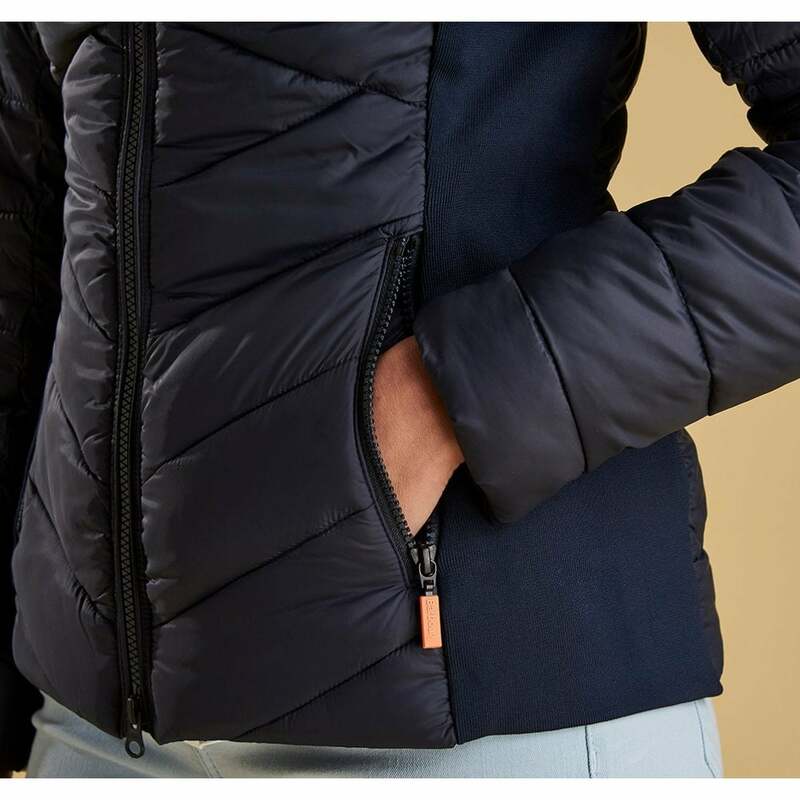 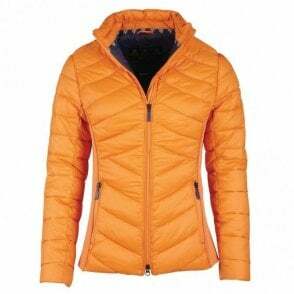 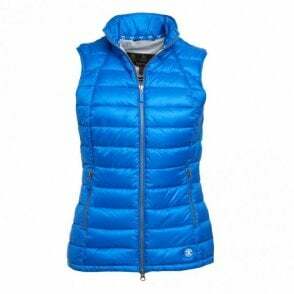 Exposed zips at the centre front and pockets complete the contemporary look.